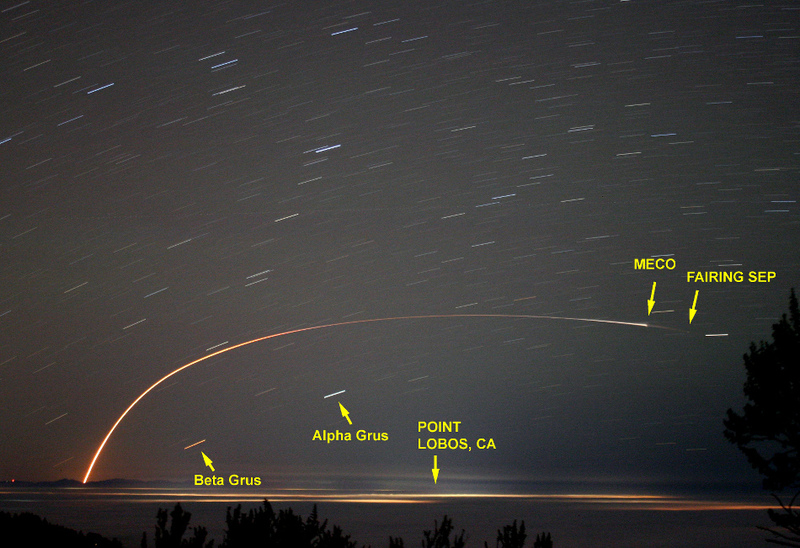 Explanation: In this alluring time exposure, star trails arc across the night sky above foggy Monterey Bay and the lights of Santa Cruz, California in the United States of America. Since the exposure began around 2:56am PDT on July 2 it also records the trail of a Delta II rocket lofting NASA's OCO-2 spacecraft into orbit. 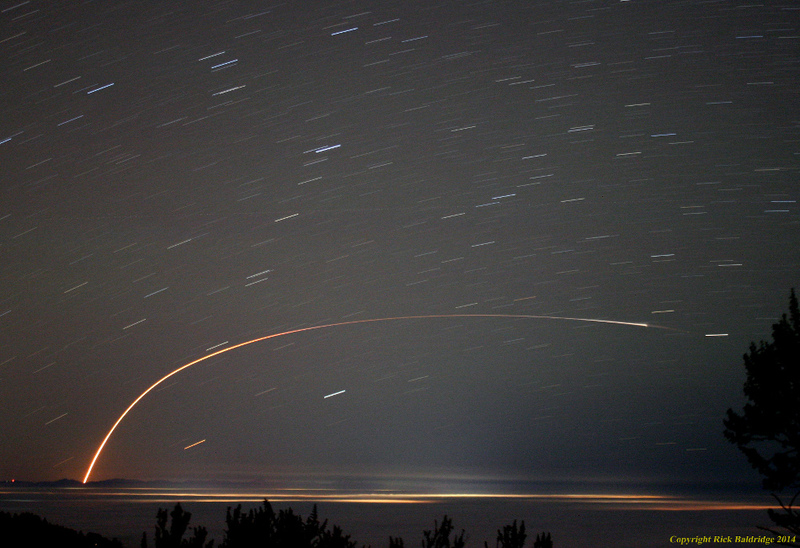 Seen from a vantage point 200 miles north of the Vandenberg Air Force Base launch site, the trail represents the first five minutes of the rocket's flight along a trajectory south and west over the Pacific to join the A-Train in polar orbit around planet Earth. The entire trail through main engine cut-off is captured, with a very faint puff at the end marking the nose fairing separation. Under the rocket's path, the two brightest trails are the alpha and beta stars of the constellation Grus, flying high in southern skies. The OCO-2 mission goal is a study of atmospheric carbon dioxide, watching from space as planet Earth breathes.